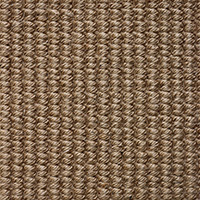 Tobago is one of our 100% jute weaves with a simple but classic design. 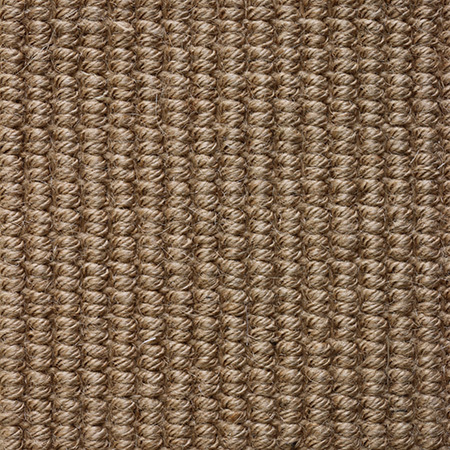 Jute is a natural fiber that is very soft to the touch and a joy to walk on barefoot. In addition, it is 100% bio-degradable and recyclable and thus, belongs among the most environment-friendly fibers. The Tobago weave itself is soft but durable due to individually strong threads woven together. Broadloom for wall-to-wall installation costs $77 per sq yd. The roll width is 13'. For more information or to create a custom rug, see rug builder below. Freight is free with all rug orders.